Earnest question: urban policy folks who use the term, what is your working definition of "neoliberal"? @DanielKayHertz "neoliberal: a member of my left/center political coalition who advocates for economic policies to the right of mine." But I think it merits taking slightly more seriously than that. (Not that I’m picking on Ted here, since he followed up on his joke by offering a real attempt at a definition.) So I asked Twitter for help. Mostly, I didn’t get a huge number of replies – maybe ten, several of which were communicated to me privately through email or direct messages. From that, I take some combination of: a) I don’t actually have that many followers; b) most people aren’t that interested in defining abstract terms; c) people aren’t really sure what “neoliberal” means. But still, I’m going to take a stab at a few possibilities. I don’t mean this at all to be comprehensive or definitive; I’m thinking of it mainly as another way to attract some feedback. On the other hand, it’s hard to square this definition with the actual use of the term in urban contexts. I think it’s fair to say, for example, that mayors Rahm Emanuel in Chicago and Michael Bloomberg in New York have become poster children for neoliberalism in American local government. But while both of them have pursued some policies that would fit the free-market bill – privatization of public services, an emphasis on business-friendly deregulation – they’ve also embraced aggressive, and expensive, intervention in the private market. In Chicago, which I’m more familiar with, spending hundreds of millions of TIF dollars on building subsidies, infrastructure investments, and business incentives basically is Mayor Emanuel’s economic development program. It isn’t necessary to judge the merits of those policies to see that they’re quite far from a Friedmanite, don’t-pick-winners approach to government. If neoliberalism is all about free markets, then either Emanuel isn’t a neoliberal, or he’s a very selective one. @DanielKayHertz …like Bloomberg and Emanuel, even though the Washington Consensus calls developing countries not to engage in it. A theory of politics is a necessary condition for thinking about the relationship between policy measures and politics. A proposed policy measure that seems desirable in principle (because e.g. it is cheaper than another alternative) may not be so desirable if it has malign political consequences (it materially strengthens interest groups who have malign long term objectives)…. Lefties have a clearly discernible theory of politics, which has to do with collective action, and the building and sustenance of mobilizing organizations…. But neo-liberals – not so much, apart from a historical belief in the power of technocratic discussion to reshape politics. This not only means that they are less effective than they should be, but that they may push for policies that do long term political damage. @DanielKayHertz my quick sketch is "someone whose first reflex in solving a social problem is to reach into the market economics toolbox". For me, the “market economics toolbox” implies a lot more than an inclination towards laissez-faire. It implies an approach to human behavior ruled by rational choice theory, and a policy approach that tends to treat people as free-floating individuals who desire to satisfy any number of preferences with regards to schools, public safety, and jobs, but aren’t super picky about how those preferences get satisfied. In other words, it suggests an inability to understand community, identity, respect, justice, or other values that often get short shrift in rational choice models. It suggests policymakers who may not realize, for example, how upsetting the loss of community resulting from a neighborhood school closure might be – even if your kid ends up going to a somewhat better school as a result. In this reading, then, the leftist critique of neoliberalism is about a failure to understand the nature of power, and, as a result, the need for people- and community-centered organizing, rather than technocratic tinkering. This failure, moreover, may not be accidental, or simple naivete, but the result of a analytic “toolbox” that doesn’t necessarily lend itself to understanding power struggles in that way. This, to be honest, has been my fuzzy interpretation of the term for a while. The people and policies identified as neoliberal seem to reflect less any ideological commitment to markets, or naivete over how politics works, than the priorities of the good old-fashioned urban civic and business elites who have been ruling cities like Chicago and New York for decades. If you’re new to the terms “growth coalition” or “growth machine,” this is a very brief overview, and this is a somewhat longer one. But the basic idea is that the urban governing coalitions are driven mainly by a desire to grow the value of their property by, among other things, improving infrastructure and intensifying land use. This explains both (laissez-faire-seeming) disinvestment in social services and aggressively interventionist economic development policy. On the other hand, if neoliberalism is just growth machine politics, then what, exactly, is new about it? Most leftist writers, after all, seem to take the position that this neoliberalism is a relatively new, or at least newly influential, force in American local politics. Is that really the case? 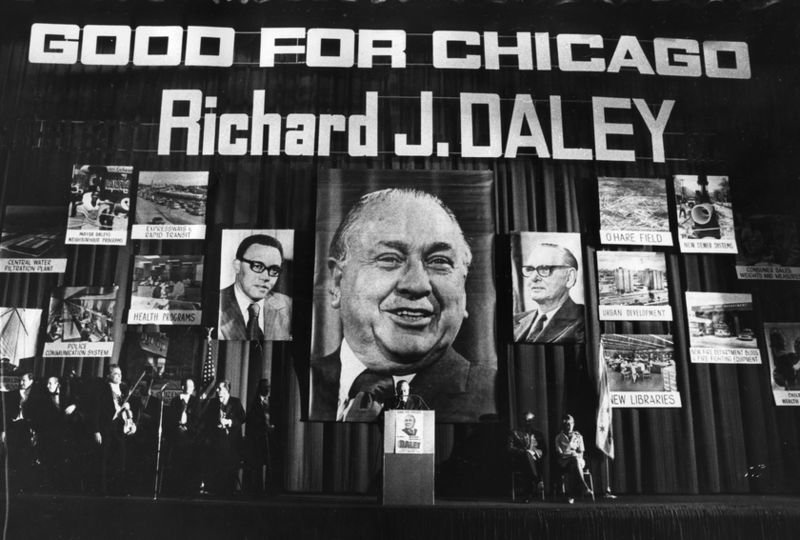 Or is there something that differentiates the growth coalition of, for example, Rahm Emanuel from that of Richard J. Daley? Previous Previous post: When has housing supply ever kept rents down? This is a fascinating discussion that I’m following with interest. Thanks for starting it. I don’t have a really substantive contribution right now, but I wanted to point out something I wrote framing the machine that ran Albany for 40-odd years as a precursor to what we’d call neoliberal governance today: https://itineranturbanist.wordpress.com/2014/09/09/albanys-machine-last-of-the-old-breed-or-first-of-the-new/. It’s kind of just spitballing, but I figured it might be interesting in the context of this discussion. “Forty-second year as mayor” is an amazing thing to read. A book on mid-size cities’ political machines would be fascinating. (Memphis also had an interesting one.) Thanks! It was, indeed, a pretty amazing story. I’d definitely read that book. And lest we think the Albany machine is totally dead, there have only been three mayors since Corning died, the last of whom just left office last year after 20 years. Also worth noting: Corning’s longtime personal assistant, and almost certainly equally longtime lover, was Kirsten Gillibrand’s grandmother. A great question to raise! The “growth coalition” answer resonates most with me (someone who’s guilty of throwing around the term perhaps a bit more than I should). I think of neoliberalism as a flatting of the world along the one-dimensional axis of efficiency, with the ultimate aim being the sort of “growth” the promise of which the US has made its calling card since WWII. Relatedly, I associate neoliberalism not with support for “free markets” (which, I think you’d agree, don’t ever really exist — markets in this sense are just metaphors) but for growth built on “individual choice,” a kind of consumer politics if you will. I think we live in a neoliberal moment because the people who see the world in these terms are very powerful, especially in the US. And like you, I ultimately believe the empowerment of this group is much more important to understanding the present moment than the particulars of any ideological claims they might make. Thanks! Do you think “flattening the world along the axis of efficiency” has anything to do with the paragraph I wrote on rational choice theory, the “market toolbox,” and how that has a tendency to downplay values like community, etc.? Or are you thinking of something else? Who were the people who didn’t see the world in that way, and when were they more powerful? Also, in saying “see the world in this way,” are you suggesting that there really is an important ideological component, and it’s not just about power and self-interest? Though I suppose even self-interest has to be defined, by oneself, through the lens of ideology. Those are good, hard questions! Too hard to do justice to in my last conscious minutes of the day, probably. The market toolbox is definitely linked to neoliberal policy positions, but I think the idea that growth is the only means to prosperity and that greater efficiency is the key to growth is older than the toolkit — or at least older than the toolkit’s current popularity — and had at its WWII-era outset much more to do with sustaining post-depression US economic growth in what had until recently been a word hostile to international trade. At the time, the only major political players in the US opposed to this consumption-for-export under the guise of freedom were the remnants of the Democratic left wing. Today it seems like the Tea Party may be it. I’m not sure whether ideology is the word I’d use for this — maybe habitus? If neoliberalism is all about free markets, then either Emanuel isn’t a neoliberal, or he’s a very selective one. “Free market capitalism for the poor and middle class, socialism for the rich” as my mom would put it. “Privatize the profits, socialize the costs” also works. I think the problem with talking about neoIiberalism in a first-world urbanist context is that as an ideology, neoliberalism is about development economics. There’s.a fairly precise notion of what neoliberal solutions in India and China are. There’s a less universally accepted among neolibs but still coherent notion of it in Greece, in the context of its economic crisis. In the context of a first-world government, let alone a subnational one, a lot of the prescriptions map onto different political coalitions. John Williamson calls governments to disinvest in industrial subsidies and divert the money to health, education, and infrastructure; to privatize services when possible in order to limit corruption; and to levy broad-based taxes on income and consumption. TIF is the opposite of neoliberalism in that context, but in practice, in American cities, the privatizers like TIF since it avoids the optics of raising taxes (which of course is what makes TIF so bad – it doesn’t require selling the tax’s benefits to the voters). So in a first-world urban context, I try starting from prototypes of politicians who probably agree with international neoliberalism on principle, and who at least to some extent push market solutions. Hence, Bloomberg and Emanuel. I also try to look for politicians who self-define as anti-machine reformists, i.e. not Daley. Yeah, that does seem to be the case, re: difficulty translating international development debates into first world municipal debates. You think anti-machine reformists are inherently more likely to be neoliberal? Also, what makes Daley not neoliberal – that he sort of retains ties to old-school informal (and formal) community political networks? Because other than that, and being somewhat less financially reckless, it’s not totally clear what the distinction is between Daleyism (in the form of the son) and Rahmism. It’s the informal ties, yeah. Neoliberalism scorns anything that reeks of informal ties. In the third world this is de Soto’s attack on the informal economy and his support of titling squatters. In the first world this relates to opposition to urban regimes that make it hard for outsiders to start businesses, as in e.g. a large fraction of the Urbanophile’s posts. Interesting. Ironically, then, it’s precisely what makes Rahm a neoliberal that makes him politically weak, relative to Daley, who never had to put up with the indignity of a possible runoff after being elected. Ah, yes. One of the aspects of neoliberalism, which I got from No Logo despite my general hate for Naomi Klein, is the focus on superstars. It doesn’t appear anywhere in the Washington Consensus, but it tends to correlate: the idea is that progress comes from economic and political superstars, and not from group organization. 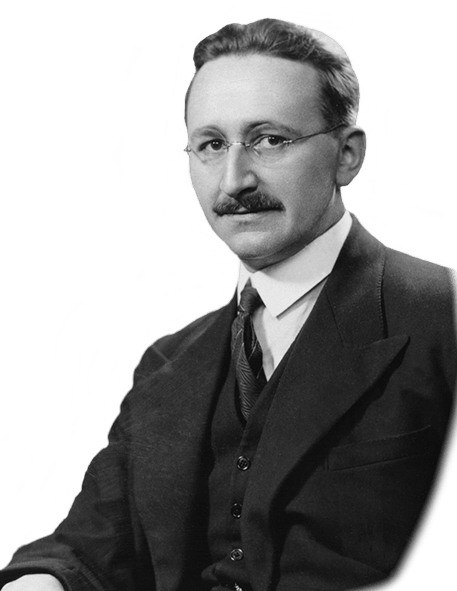 Older manufacturing industries heavily depended on group organization, at least after the initial inventions (like Ford’s assembly line); new Silicon Valley industries are instead organized around the lone inventor, like Bill Gates, Steve Jobs, Larry Page and Sergei Brin, and Mark Zuckerberg. Synthesizing this with the politicians I consider neoliberal, there’s definitely this aspect of superstardom to neoliberal politics. Relying on organized groups corrupts – just look at how terrible the Daleys were for the city. Better to just have a single person in charge. It has a lot of parallels with Mao’s cult of personality, ironically. Of course, in the neoliberal view, the superstar should be a good market-oriented technocrat and not a communist, but the de facto support for absolutism as a response to the failures of feudalism and informality is similar. If you are not familiar with The Automatic Earth (TAE) blog, check it out. They address neoliberalism a good deal in their analysis of the world financial system. It is from them that I found this article from Forbes by Steve Keen that I think is very helpful in understanding Neoliberalism (aka Neoclassical Economics). “That model—known as Neoliberalism in political circles, and Neoclassical Economics in the economic ones in which I move—exalts capitalism for a range of characteristics it doesn’t actually have, while ignoring characteristics that it does have which are the real sources of both capitalism’s vitality and its problems. So if Neoliberalism is really just the political adherence to Neoclassical economics, then getting your head wrapped around neoclassical economics is critical to understanding Neoliberalism. Here’s another post from TAE that has an excerpt from Mason Gaffney’s “The Corruption of Economics” which I think perfectly explains the evils/failings of neoclassical economics/neoliberalism (http://www.theautomaticearth.com/2015/02/greece-to-return-classical-masterpiece/). I’ll leave it at that for the moment. If you get to read through those articles, I’d love to hear what you think. Thanks for taking up this important question and beginning a conversation around it. As someone who only occasionally visits the “left-leaning precincts of the urban policy world” or even just the urban policy world, I would assume the neoliberalism means (1) — Laissez-faire economics. As for aggressive intervention, I don’t think no government intervention is a very common attitude in big city politics. If it doesn’t interfere with typical big business actions, I’d say it could still qualify as your (1). Where I’m struggling is that this seems like a very New York and Chicago centric question in a country where most cities aren’t like New York and Chicago. Really the only other city that comes to mind as fitting the NYC/Chicago mold is Philly, though I guess some Rust Belt cities might fit the description, but more so 50 years ago than today. Thus, are we looking at the question from an angle that doesn’t apply to most US cities? Do the LA, Dallas, Seattle, Charlotte, Atlanta, and Denver(s) of the country frame this neoliberal question in the same manner, is it an issue in these places? How about boom towns Austin and Raleigh? Then there our major urban outliers* (imo) San Francisco and Detroit, how are they approaching this question? And I haven’t even mentioned the Madison, Lincoln, Boise, Richmond(s) etc. *Someone should start a blog called Urban Outliers. Anyway, I attach privatization to the urban neoliberal definition, which therefore, probably makes it apply to everywhere. But I’m sure there are many who also would throw gentrification too (though I disagree). However, I can also see the neoliberal tag being defined as pretty much only a NYC/Chicago/Philly centric issue, major urban areas that were large prior to the Second World War, and thus have urban policy issues that are unique to them (a city center, large scale mass transit and public education systems, and more recently de-industrialized and sprawl). How do these ‘classic’ cities approach the challenges of today from their 19th century growth model and structure? Yeah, all of these are good questions that I’m not qualified to answer. That said, if neoliberalism is about growth machine politics, then it’s pretty broadly applicable to US cities, isn’t it? Perhaps you would find the opinions of an older leftist of some interest. To me the key distinction comes out of the old laissez-faire vs activist government thing but in modern parlance has moved on from there. Neoliberalism is anti-democratic and in particular anti-union above all else. Unions are a “special interest”, once an unthinkable heresy for Democrats. I can still remember my horror at hearing the “fairness issue” raised in Democratic circles, as merely one issue among many, and not a very important one at that, compared to identity politics issues. This began in the early eighties as various veterans of the New Left (my generation) came of age, drawing what I considered at the time, the wrong conclusions. Nowadays, anti-unionism is virtually the hallmark issue among neoliberals. Pension crises must be solved on the backs of the retirees, contracts be damned, and not through taxation. The most striking difference which is about 100% effective as a marker of neoliberalism vs leftism is education “reform”. I don’t think I’m exaggerating to say that ALL neoliberals favor charter schools and oppose teachers’ unions, and few if any leftists do so. This, much more than laissez-faire, defines today’s neoliberalism. To me, it is quite striking how anti-democratic all this is. Neoliberal charter-school backers don’t care that they are abandoning the vast majority of inner-city children, and I can only conclude that they must believe that the vast majority of inner-city children are ineducable. They can only be viewing their mission as “saving” the few educable ones, and even more remarkably view themselves as the “real liberals” for doing so, without ever acknowledging the anti-democratic nature of their underlying assumption. I also find it interesting that the left is so ineffective at fighting this. I would draw the line a bit differently. It used to be the laissez-faire thing but now it seems primarily about anti unionism. Break contractually agreements on pensions. View labor as a special interest. Which has the corollary that “neoliberals” favor charter schools nearly unanimously, and do so out of both antiunionism, and a never explicitly stated but fairly obvious belief that inner-city children are for the most part ineducable and that their duty as the “progressives” they fancy themselves to be is to help identify the few who are educable and educate them, producing a racially diverse elite. There is a very strong anti-democratic whiff about them, which the left has been singularly ineffective at fighting, because racial issues motivate them more than more generally democratic issues. By which I don’t mean to say that racial issues are unimportant as much as I mean to torch the left for its ineffectiveness. About anti-unionism and charter schools: Sweden did an education reform in the early 1990s that allowed lightly regulated charter schools, focusing on school choice. This was not about unionization, since unlike in the US, Sweden has very high private-sector union density. It was about nebulous arguments for school choice; the resulting problems with this school choice – namely, schools trying to compete for students instead of providing good education – are part of what led to the relative decline of Sweden’s education system in the last 20 years. And yet, despite the difference in focus, the battle lines are similar to those in the US (and in Israel): the left wants the reform reversed, the center-right likes it, the Social Democrats are conflicted. Moreover, in both Israel (at least on the right) and the US (on all sides), people who have heard of this education reform take the same position on it that they would on anti-union reforms in their own countries. Please excuse my repeating this argument. It seemed as though the site didn’t take my first comment, so I did it over.